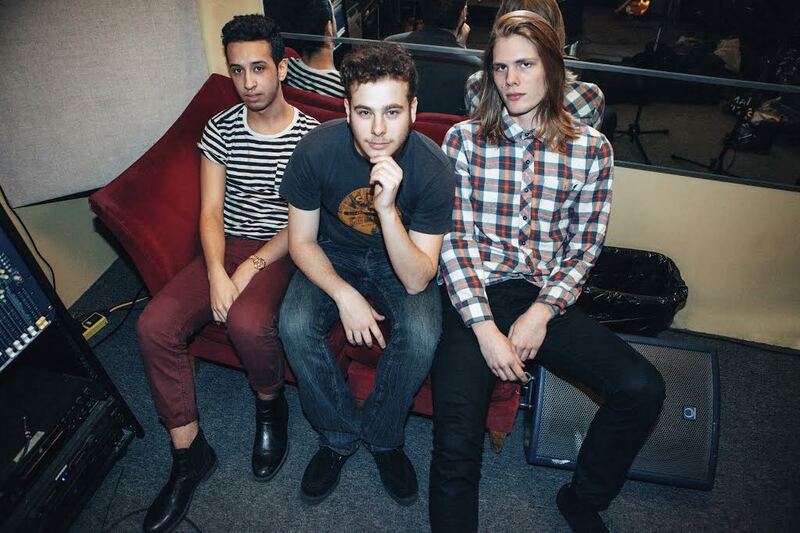 The Chordaes are a new band formed by Manhattan-born friends Leo Sawikin (Vocals/Guitar) and Ethan Glenn (Drums). Leo and Ethan have been playing together since they met as middle school troublemakers, and they have developed a truly original sound that blends power pop and alt-rock in songs that are complex yet irresistibly catchy. Leo is a songwriting prodigy who sprang forth from his bedroom as a fully formed pop craftsman at age 12 and has continued to evolve, drawing on influences as diverse as Radiohead, Big Star, The Beatles, Beach Boys, and Tin Pan Alley. Ethan, a surfer and skateboard enthusiast, makes the music swing and generally lightens the mood. Enhancing the songs’ sonic palette is top New York keyboard gun Alan Markley. Joining Leo and Ethan live is Jesse Serrano on bass. Born and raised in the Bronx, Jesse first picked up a guitar at age 4 and is now a seasoned multi-instrumentalist. Despite his youth, Jesse has already racked up an impressive number of credits, having performed with an array of jazz, rock, and folk-rock outfits. He plays a Höfner bass in tribute to his idol, Sir Paul McCartney. Jesse is thrilled to be part of this new project. The Chordaes’ self-titled EP will be released in March. The opener and first video, “Touch the Ground,” conjures up a jam session between Neil Young and The Beatles yet feels totally fresh, while “Last Song,” which follows, is a beautiful ballad about young heartbreak. “She” kicks the album into gear with a Jeff Buckley-esque rocker that continues on the theme of thwarted love. The EP was recorded on the Chicken Parmigiana corridor of the Jersey Shore at Shorefire Studios, where the array of vintage gear – centered around the Helios console on which Phil Collins’ “In The Air Tonight” was recorded, various mic pres from The Rolling Stones’ mobile, and guitar amps from most of Leo's idols – contributed to the classic sound. The producer was veteran Marc Swersky, who has worked with Joe Cocker, Hillary Duff, and many others. The Chordaes sought Marc out because they believe their sound falls somewhere between Joe Cocker and Hillary Duff. This is an impressive debut filled with catchy hooks, sublime harmonies, and plenty of musical surprises. Download; listen; repeat.